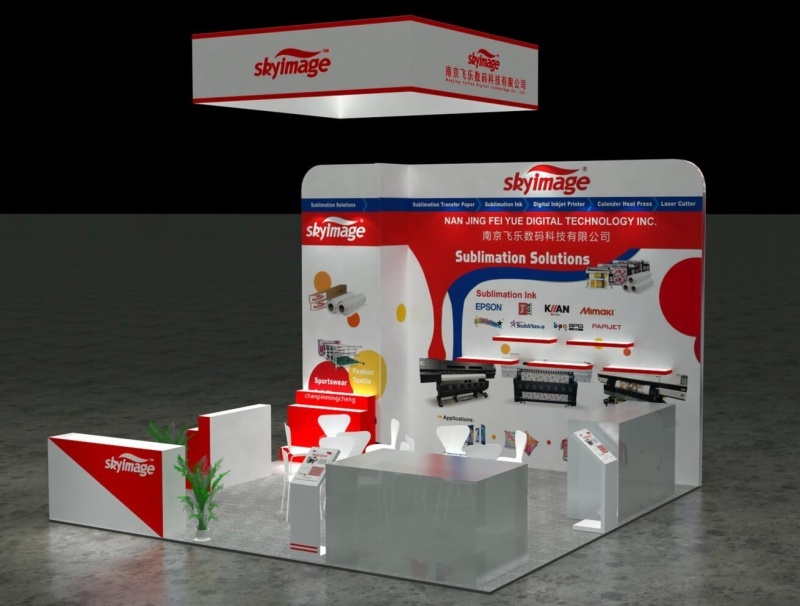 Sign China is one of the world's most influential trade shows for professional labels and visual communication. The exhibition is divided into five specialized sections. It represents an important communication and information platform for the advertising technology company offering the exhibitors the opportunity to present to an audience of experts here. Visitors can also learn in depth and comprehensive information on the latest technologies, developments, services and products from all areas of procurement and production planning to meet new business partners. 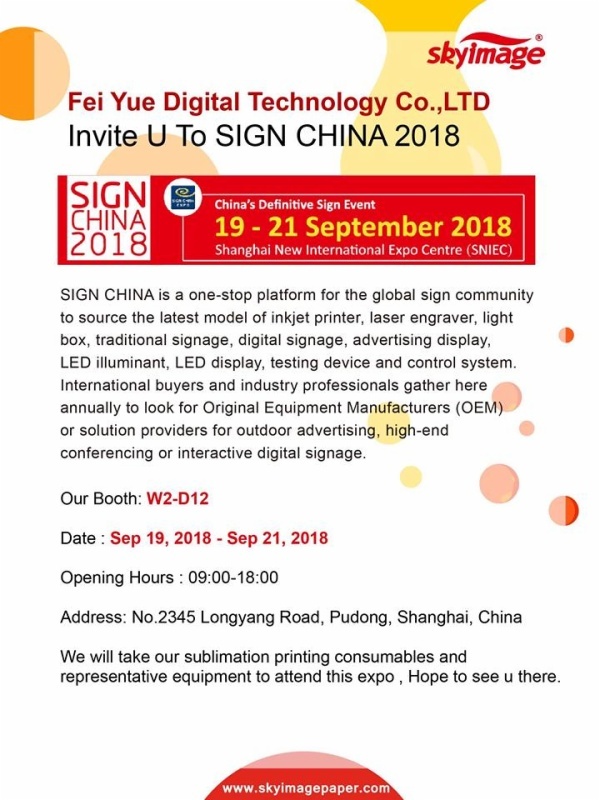 The Sign China will take place on 3 days from Wednesday, 19. September to Friday, 21. September 2018 in Shanghai. 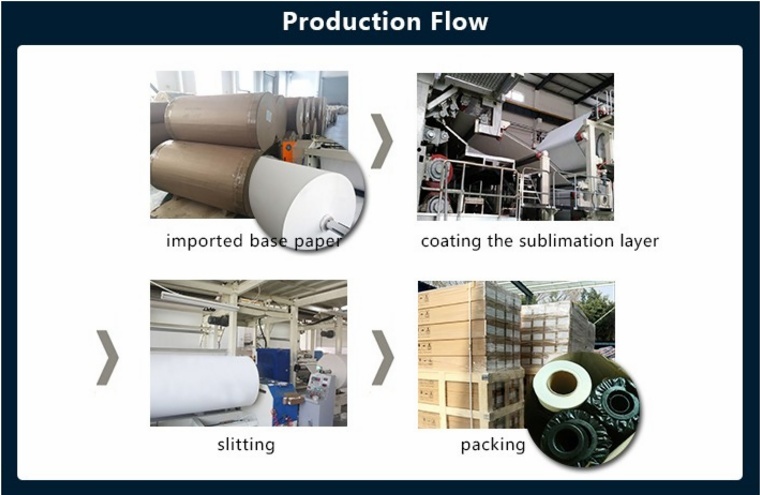 Fei Yue Paper mainly sells sublimation Transfer Paper, Wide-Format Inkjet Printer, Sublimation Ink, Heat Sublimation Transfer Machine, Laser Cutting Machine and RIP Software.